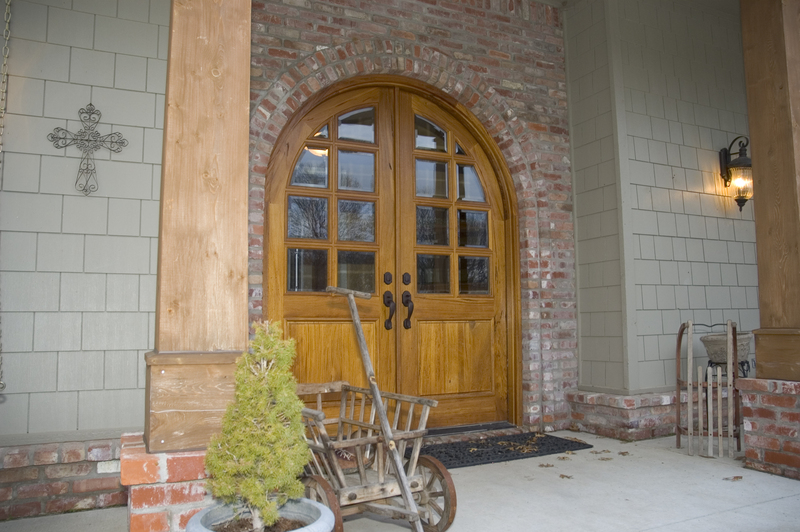 I walked through my front door this morning and was startled by the dense mechanical ring of the oak & metal Bell Telephone Company phone mounted on the wall of our living room facing out to the east garden. I had never heard it ring before since it’s only an antique, so my curiosity piqued, I ambled over and gingerly lifted the ancient earpiece. “Hello”, I mumbled tentatively into the black spout mouthpiece. “Hi,” replied the man on the other end. “I was calling to ask about the cattle you have to sell. I’m looking to buy.” Stunned by the voice coming from the old wooden box with no wired connection (had antique phones entered the cell era through a warping of time and space? ), I wondered while pondering what to say to this would-be cattle buyer. “I need to buy a Hereford breeder to add to our herd. Can I come by and take a peek at your cows?” My reply was otherworldly, from someplace other than my consciousness. “You betcha, c’mon out.” The flinty response was immediate and sounded eerily familiar, “Be there in an hour.” I wandered out to the front porch after a spell and sat on the mahogany swing and waited, kick flexing my left knee out and in, listening to the crackle of 53-year-old cartilage, while pushing back with my right foot and lifting it slightly to let the swing descend, wobbling forward like a kid’s first bike ride. 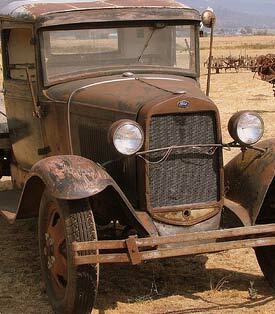 From the north came the clatter of a 1931 Four-cylinder Ford Model A flatbed truck lurching along the asphalt toward my house. Round headlamps earnestly pressing forward followed by the box cab and black-visored windshield, and a flatbed enclosed with a triple rail wood sideboard. The distinct saucer headlamps looked like eyeglasses and the windshield visor, along with the clattering made me think of a chattering visor-wearing near-sighted bookkeeper rolling along on black vulcanized rubber wheels. I watched him climb out of the truck and walk toward me, 6’1”, dark hair slightly receding, sun-worn smile creases forever marking him as a friendly man. He wore overalls and a white t-shirt, weathered-round toe work boots, and he moved along the ground as if he were part of the earth, like he owned a farm or had a garden. “Afternoon. Are you Taylor?” the man drawled in an easy and unaffected way. I replied, “Yes sir. Ya come to see the herd?” It occurred to me that I did not own any cows, but these words flowed from my lips from places I had seen but never been, like honey dripping off a ladle. To which I replied, “Just take your time and pick out what suits you.” And I watched him pacing along the edge of the herd, eyeing several of the smaller bulls. 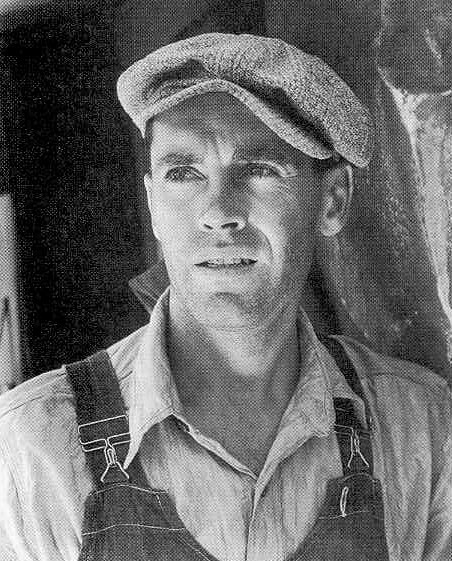 I thought that he looked like Tom Joad in the Grapes of Wrath as I watched him make his choice. Afterwards, walking back up to the house, I asked if he had family. “I do, just had a baby girl, name is Jessie.” We strolled along and he talked about being a Dad, how having a daughter had changed him in ways he never anticipated, how the world was changing so quickly, and he spoke of losing their wheat crop to the drought, everything withering in the hot blowing dust, wondering how he would ever support his wife and baby daughter. I stole a glance at him as he talked and he seemed wise in a way I couldn’t quite comprehend, like he knew my story, even though he seemed to be twenty years younger than me. My cell phone rang. It was my wife. I hung up and he looked at me, then at my phone. “What is that?” I looked down at my Iphone 5 and told him it’s a phone…without the wires. The signal goes through the air. And you can get online, check email and the social media and…” I recognized the blank stare as lack of comprehension. And so I just told him, “It’s how we run our lives now. How we talk to each other, how we communicate.” I asked him, “So where you live you don’t have these?” “No,” came the reply. “What is your technology?” I asked him. He replied, “Hard work, desperation, hope, faith, failure, not knowing how we’ll make it another day…that’s how we get by…just know somehow we will.” Then he said something I’ll never forget. “Can your five phone tell you why I get up every day before the sun rises? Or tell me why I’m here? Tell me what’s important and why? Can it tell me why I love my baby daughter so? What causes greatness? What causes failure? Happiness? Can it tell me what my life will be like in ten years? Twenty? Forty?” As the young man drove away I looked down at my phone and in my other hand five silver dollars he had handed me for a deposit on the Hereford. There was an eagle on the back and a woman in a spiked crown on the front. The words “Liberty” arched over the top edge of the coins along with the banner phrase on one line, “In God We Trust.” They were vintage 1921 coins. I slipped them into my pocket and walked back into my house through the front door. Weary, I went to my recliner and extended it fully, closing my eyes. I awoke an hour later and remembered the time last month I walked through the cemetery north of town, looking down at my Grandpa Jess grave, with the important stuff chiseled on the face, born 1901- died 1969. I knew him only the last ten years of his life. I walked into my closet and pulled open the top sock drawer. That’s where I keep important stuff because it seems safe and I can see it every day. Nestled near the back of the drawer next to my 1979 U.S. Amateur pin, was a quarter my Grandpa gave me in 1968 when he picked me up at school and asked me to help him. I rode with him over in his Ford truck to Woodland Park where he was working on a house. He said, “Can you stick your arm into that hole in the wall and pull out that wire?” I told him sure. But after trying for several minutes, I gave up. I had failed. He drove me home and as I was getting out of the truck, he reached into his pocket and pulled out a quarter, handed it to me and said, “Thanks.” I walked to the porch and sat down, watching my Grandpa drive away. 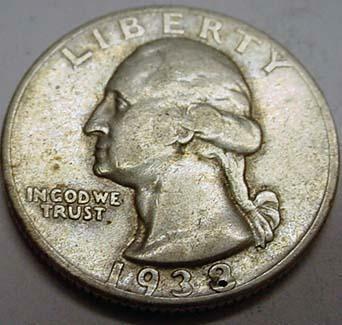 I glanced down at the worn Washington quarter and read the top word gently arching along the coin edge, “Liberty”, and clustered to one side “In God We Trust.” The year embossed along the bottom, 1933. That was the best one yet BT, captivated from the get go and in tears by the end. Thanks T I accept that at face value even though you are extremely biased. Seriously, thanks for how you encourage me to write more better, I mean gooder, good, pretty good. What a great story, well written and engaging. well done. Hi Lily, thanks for dropping by and for the nice note. Keep writing! What a great story…You are really talented!!! A very captivating story. It truly sounds like your Grandpa D. He was a great man. I really enjoy your writings. Thanks for sharing your talent with all of us. Thank you KWTWH. You should be careful though, hanging around me, you may end up a character in a story!